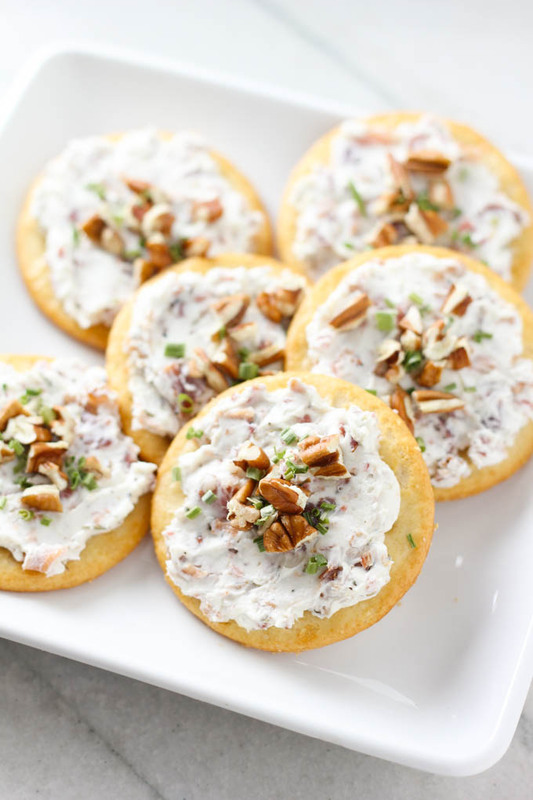 Easy, creamy bacon & pecan appetizers served on delicious crisp and buttery Dare crackers. 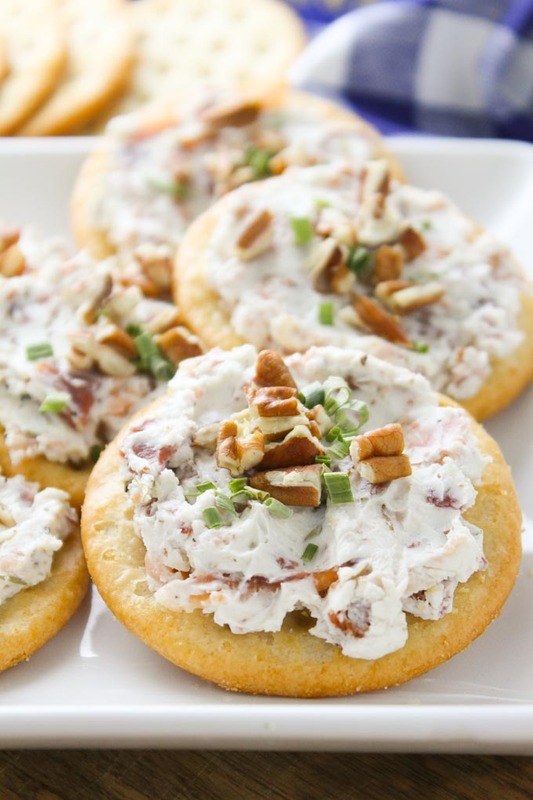 This savory, no-bake recipe is perfect for summertime parties! 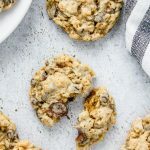 I know you are probably already are aware of this (if you’ve read my blog before now), but I am all about sweets. My husband is not. He actually has some self-control and usually prefers savory things. Don’t get me wrong, he loves a good treat but he also LOVES appetizers! One of his favorite are these stuffed mushrooms. 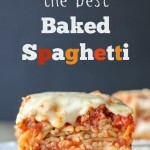 I was so excited to create a savory (and easy!) 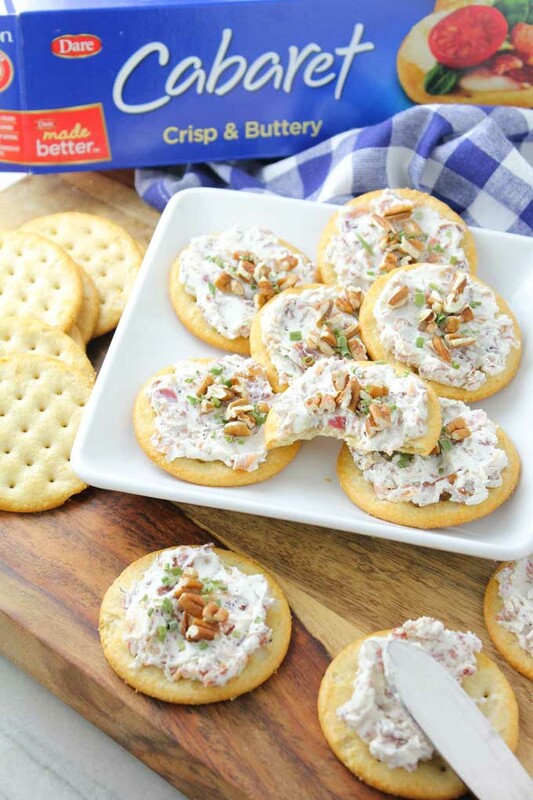 appetizer using delicious Dare Cabaret crackers. 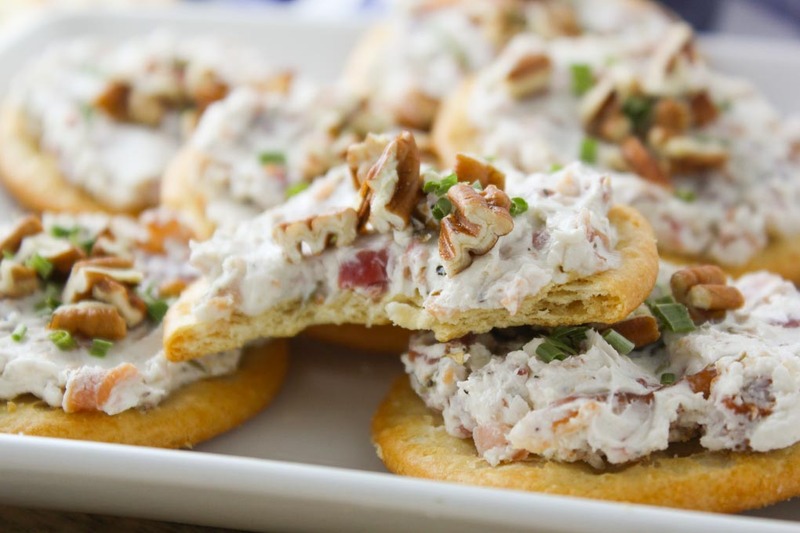 This appetizer would be perfect for Fathers Day. 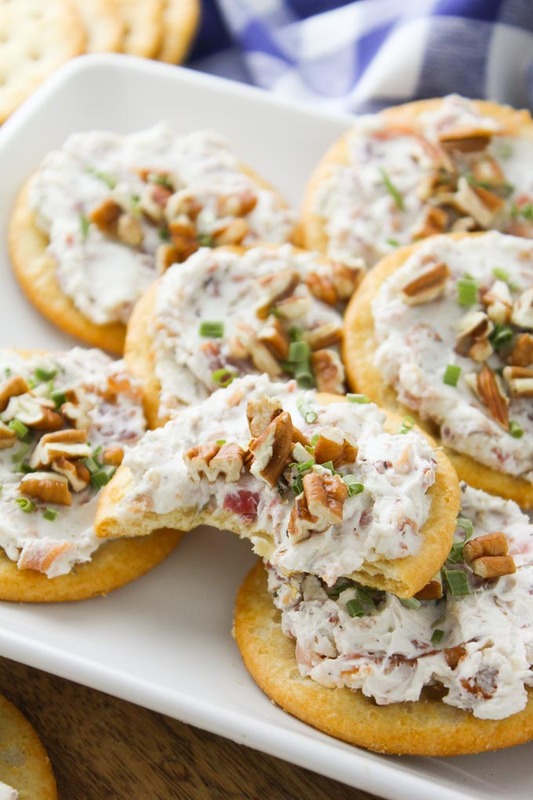 The Dare Cabaret Crackers are just the right size for appetizers. I decided to use bacon in my recipe because guys are all about the bacon, my husband especially. I added some goat cheese to the cream cheese to give them an edge ;). It added just the right amount of flavor. 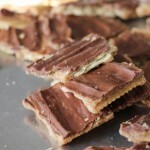 These are no bake too! It’s super hot here in Arizona during the summer so I love a good no bake recipe. 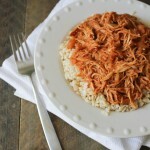 Easy, delicious and it doesn’t heat up your house. 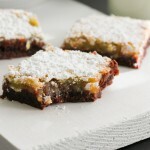 Make these for Fathers Day. They would also be perfect for a summer party. 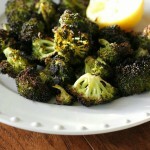 I plan to have a plate of these to munch one while we make dinner. What are your plans for Fathers Day weekend?! Share your traditions with me, I love new ideas for making loved ones feel special. If you make this recipe & post a picture to Instagram tag me @bakedinarizona and use the hashtag #bakedinazrecipe so I can see it! 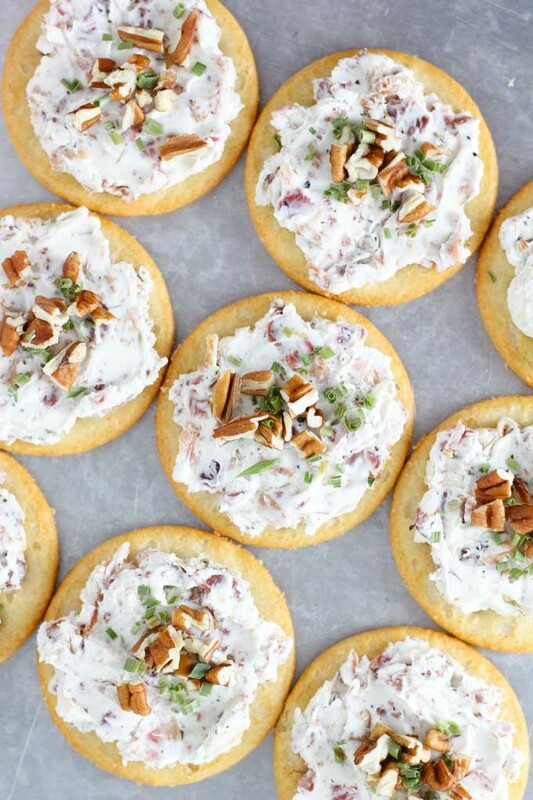 Place your crackers on a large baking sheet or platter. Set aside. In a medium sized bowl, cream together the cream cheese and goat cheese (they do not need to be room temp). Add the honey, thyme, pepper, bacon and ½ cup of the pecans. Mix together. Gently spread the mixture on to each cracker. Top with additional pecans and dried chives if using. I used a bag of 100% real crumbled bacon bits. They are the perfect size pieces of bacon for appetizers and it saves you time since you don't have to cook bacon.